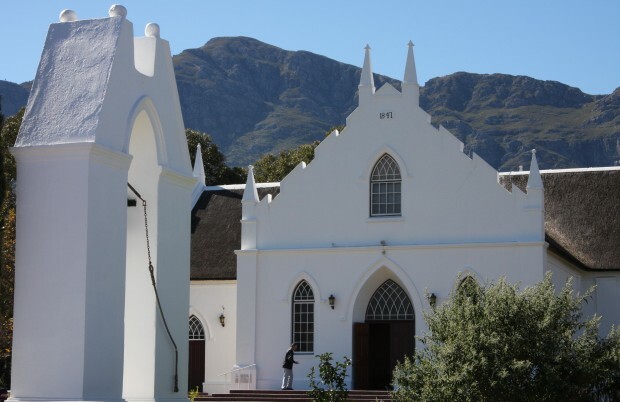 Franschhoek, one of the oldest towns in the Republic of South Africa, nestles in a valley, surrounded by the Franschhoek mountains in the Cape Winelands area just a mere 75 kilometers from Cape Town. 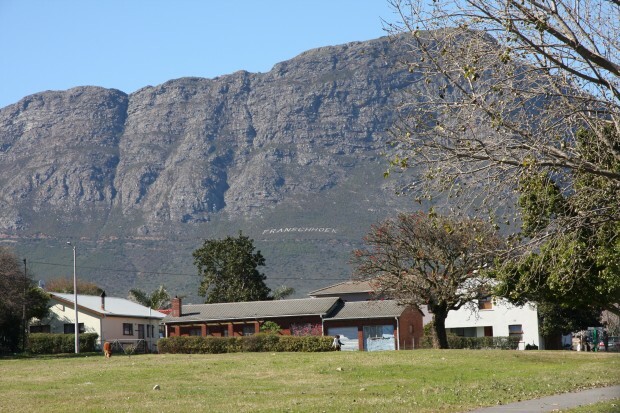 It was originally habituated by the French Huguenot settlers and still has a very French feel to it, with most of the wine farms in the area carrying french names. 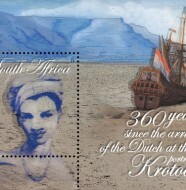 The buildings are of the old Cape-Dutch style and the town boasts some of the best and most well known restaurants in South Africa. 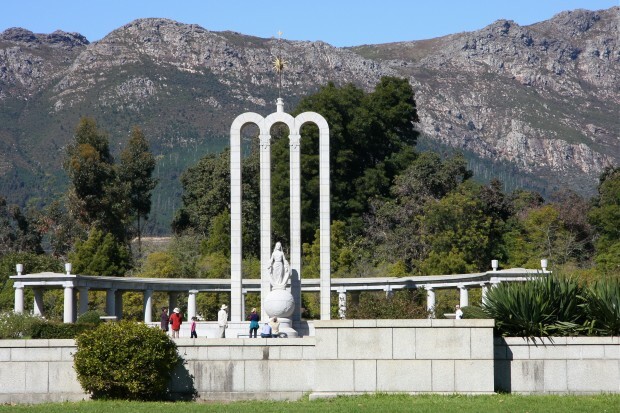 The Huguenot monument stands at the end of the main road, paying homage to those early settlers and the nearby museum lies testament to the many fascinating stories of the early huguenot farms and the settlers. The popularity of this little town has grown over the years and many bed and breakfast accommodations have flourished in this pristine and well kept town, it is a favourite weekend shopping and brunching area and we have spent many a happy winter weekend at the Klein Champagne cottages. It is a place that you will return to often. 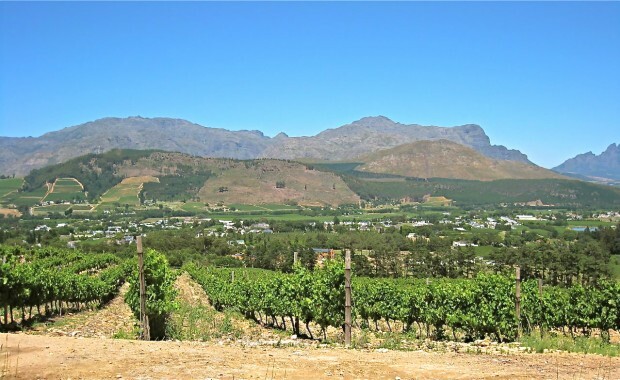 The weather here sees glorious summers with snow on the mountains in winter, just the right kind of weather for the grapes and of course the good wines from this area. 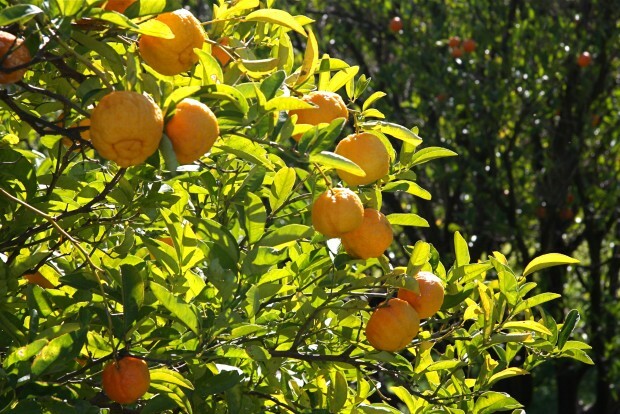 There are many fruit and citrus farms in this area. Franschhoek also has a weekend festival celebrating Bastille Day in July, a very quaint and festive weekend to be enjoyed by all.